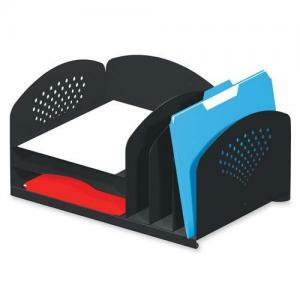 Combination rack offers three horizontal compartments for letter-size documents and three vertical compartments on right side for file folders and small binders. Made of steel with durable powder-coat finish. Pads on bottom protect desktop surface.